Before we talk about steps for hair fall management, let’s find out the causes for hair fall. Febrile illnesses such as tuberculosis, typhoid, malaria, chikungunya, dengue or long standing viral illnesses may lead to hair fall, which may be evident within about 3-6 months of the disease onset. 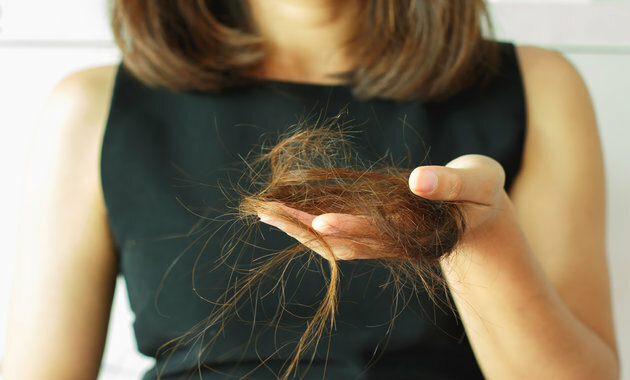 Stress, such as emotional stress, physical stress, undergoing an accident or a surgery, labour or post delivery may also lead to hair fall. Endocrine disorders, most importantly thyroid disorders (both hypo- or hyperthyroidism) account for other causes. However, by far the most common cause for hair fall in the Indian population is nutritional deficiency. 1. The first, though easier said than done, is to reduce stress; follow meditation, yoga or mindfulness to reduce stress. You will see that the hair fall stops like magic. 2. Secondly, go for a balanced diet. By balanced diet I mean going for a low glycemic diet with high amounts of protein. Check for the presence of antioxidant rich food in your diet that includes green leafy vegetables, also iron rich foods such as pomegranate, jaggery, again green leafy vegetables. Poultry, meat and eggs are also very important sources of iron and other elements that are essential in preventing hair fall. Nuts, flax seeds and almonds are some other extremely important agents that should be included in your diet. 3. The third measure is to check for deficiencies. Go for an estimation of serum vitamin B-12, D-3 and ferritin. 4. The fourth important thing is to look out for endocrine disorders, which specially includes getting your thyroid status checked. 5. The last measure is to be gentle with your hair and scalp; massage gently before washing your hair. Use a broad brush and not a comb as a comb as the latter can harm the scalp. Go for a gentle wash or a mild cleanser or shampoo for your scalp and hair. Follow these measures to retain and regain your crowning glory. Winter Skin Care And Hair Care Tips You Must Know! ← Trouble Sleeping? Blame It On The Air!